Blah Blah Blah Yackity Smackity: Batman Bananza! I love Batman, and who wouldn't, He's BATMAN! So here is a few Batman related nuggets. 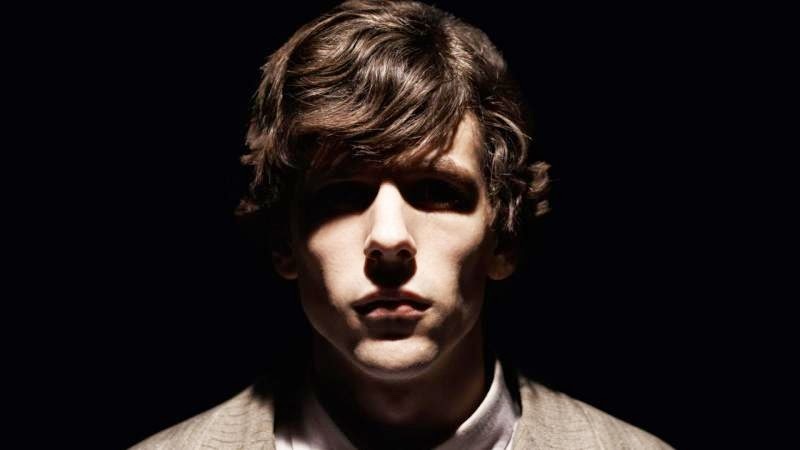 Jesse Eisenberg is playing Lex Luthor in Batman V Superman: Dawn of Justice. The debate had been will he go bald for the part. LexCorp scenes were filmed over the past two days and a source tells Batman News that Eisenberg has “a lot of hair”. It’s not Eisenberg’s typical curly look — it’s a bit longer, kind of loose and wavy, and it’s dirty blonde. Eisenberg’s Luthor has spastic mannerisms, like a 20-something guy that pounds energy drinks all day. I’m told that the scenes shot take place towards the beginning of the movie… so maybe there’s still a chance that Lex Luthor could show up bald by the end? We’ll have to wait and see. GOTHAM has the look, I hope it does well. Here is the trailer, and a new TV spot focusing on the Villains. 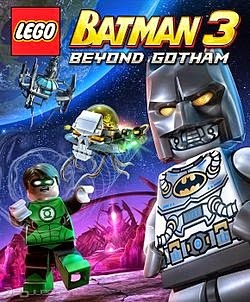 LEGO has introduced its newest video game Batman 3. My son owns every LEGO game there is, and I'm sure when this comes out he'll get this one also. That means I'll get to borrow it when he beats it. Check out the announcement. 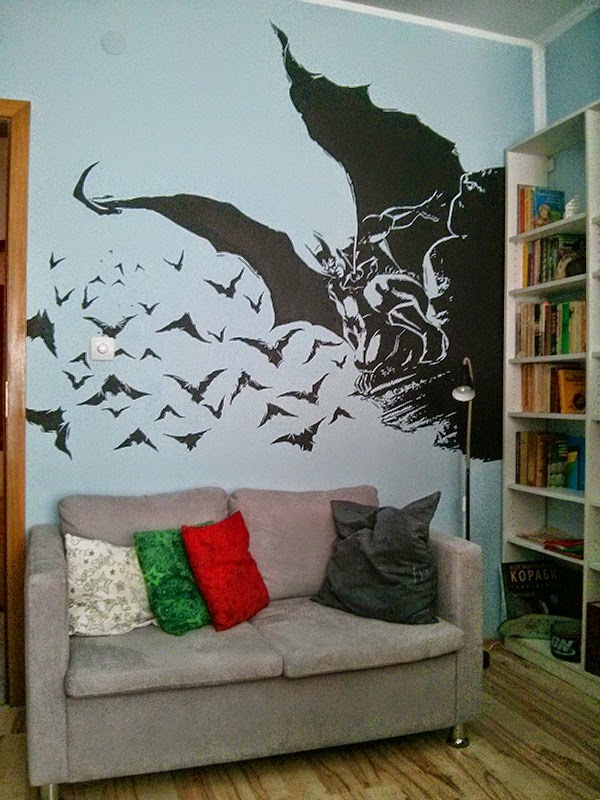 Redditor madtothemax painted this on his bedroom wall. Now if I can get him to come to my house. When will Batman get his own movie? According to the newest internet rumor, it will be in 2019. Can you wait that long? Cartoon Network caned Beware The Batman after only one season. 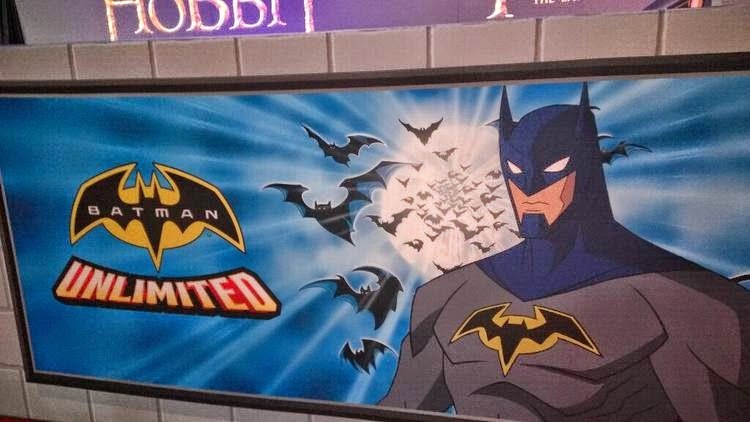 It looks as if they are going back to traditional animation instead of CGI with Batman Unlimited. 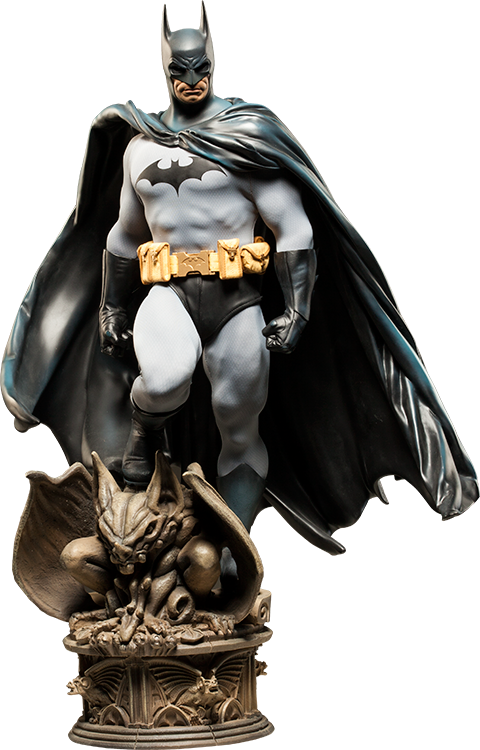 Bob Kane created Batman along with Bill Finger. So why doesn't Bill get a star on Hollywood walk of fame? The world may never know! Sideshow Collectables have great looking stuff. This giveaway ends June 26th, but if you sign up for their newsletter they always have great contest. Are you ready for more Batman? 2019? I can't even imagine that far away. When it's next year, I'll get excited. Eisenberg will do well in the role - he knows how to play an evil jerk very well. It is way too far away to even think about it realy. I think Eisenberg likes being typecast as the jerk. Never like Lex Luthor with hair. I don't know why they make that an issue in the movies so much. It worked fine on Smallville when he was bald. I'm glad that mural isn't in the bedroom because it would freak me out at night I'm sure. Maybe Superman makes him go bald. My wife wouldn't let me have that mural if I could. I imagine it would be scary during a thunderstorm. I've seen some of the photoshops people have done. I think he could pull it off too. 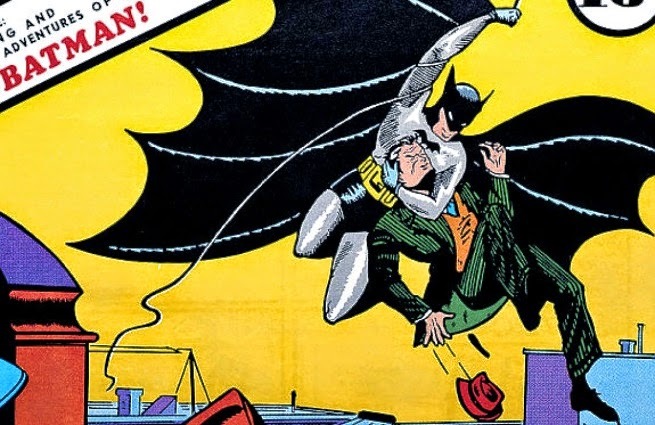 Here's the straight scoop: Bill Finger was Bob Kane's secret identity. If they wanted to stay true to the comic book series they should have made Luthor have red hair instead of dirty blonde. Traditional animation is the way to go with Batman since it's more stylish. Madtothemax rocked that mural and GOTHAM definitely has the look. Great job on the links David and have an awesome weekend. Sweet! I realy enjoyed Son of Batman. Fox will let it run one season, let everyone get hooked then yank it like the rest! If they could just get close to BTAS I would be happy. and just like Khan... our inner Capt. Kirk will scream "FOOOOOOOOXXXXX". 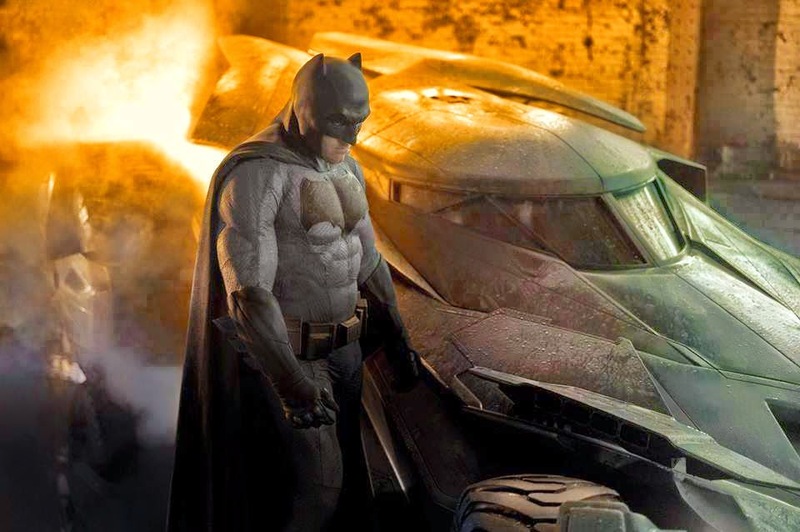 I am not holding out much hope for BATMAN VERSUS SUPERMAN. I am afraid it will be like Synder's SUCKER PUNCH -- too many heroes, too many villains. But I really enjoyed your BATMAN tidbits today! Oh, I meant to say that I am really looking forward to GOTHAM! I don't think that all the heros will not be featured, but only used to set up the Justice League movie. It is looking rather gothic...and good. I'm applying for a job at the Gotham city tourist board. Batman reigns supreme. I hope Eisenberg does the role justice. He can be a bit stiff at times. 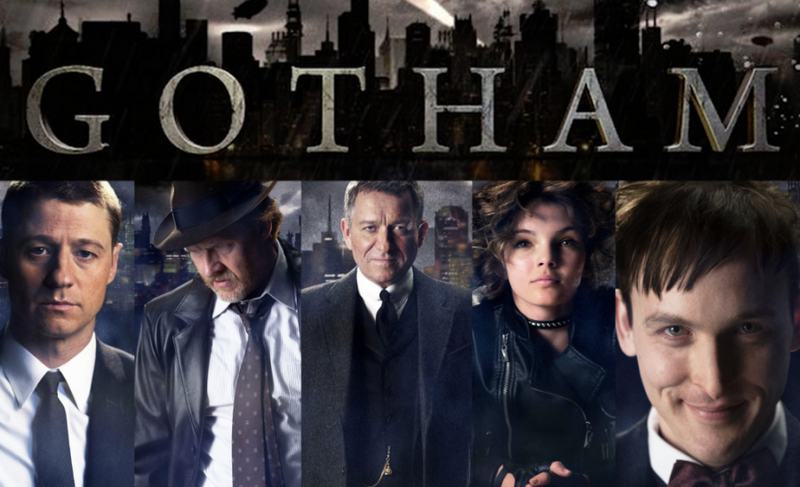 Gotham looks like it's going to rock! Also, that mural is killer! How talented! I keep picturing Eisenberg as he was in The Social Network. He portrayed Mark Zuckerberg as almost Evil. You're absolutely right, David. I thought of him in The Social Network too. Hmm, I like Eisenberg a lot, and think he'd do a spastic Lex role well, but we'll have to see. I did this post because as much as I like the caped crusader, He was everywhere on the internet! I like Batman OK, but not a super fan. I do like that mural, though. Perfect for a real fan. My son would love to have it....yes my son...ok, I would like it!